When I was in the process of designing the Swim & Gym bag pattern for the Bag of the Month Club (August '16 season), I thought it might be a great idea to work with Neoprene! As most genius ideas go, it wasn't happening, it was too thick for my flimsy machine and it sat half done in the naughty corner. Well just recently I got the Janome 6600P MC and to my amazement, it could not only handle the thickness, it made a really good job of sewing it! So here it is, all finished and ready for a day on the beach. I made this bag for Elvis to take with her to the beach, so I kept it small and kept the rope for the straps short. 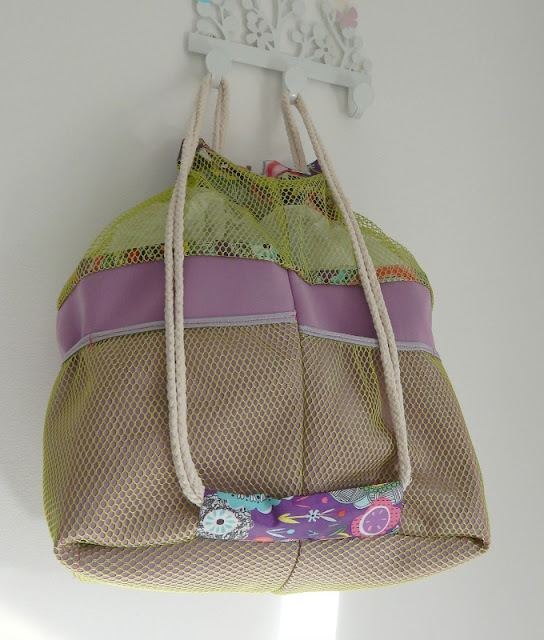 I used lilac neoprene (not cheap!) 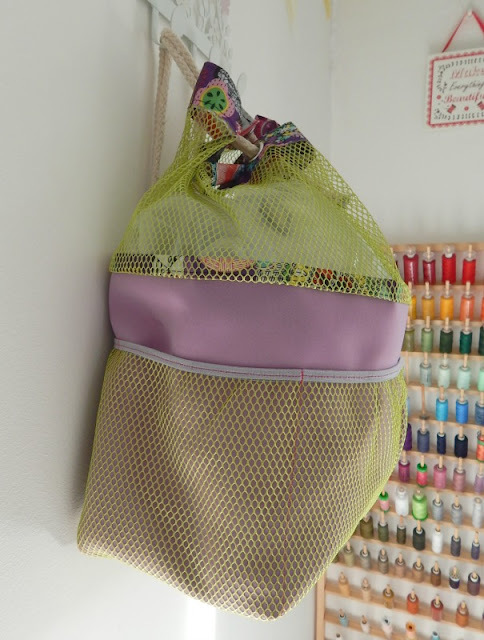 with Apple coloured mesh from Sew Hot. 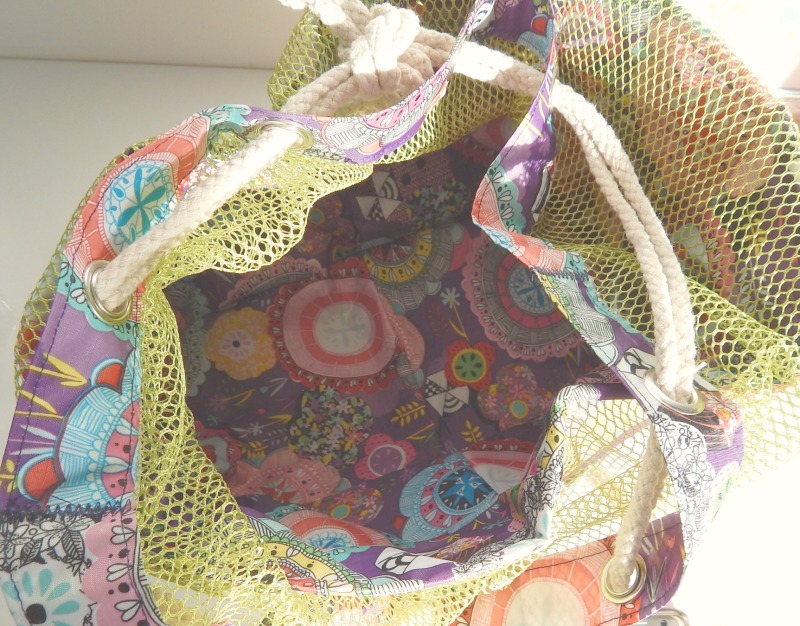 I used floral print purple PUL for the lining and the eyelet band at the top. Although Elvis is only little, she tends to take a lot to the beach with her so I doubled the rope straps so they wouldn't cut into her shoulders. I love the combo of the colours on this bag. 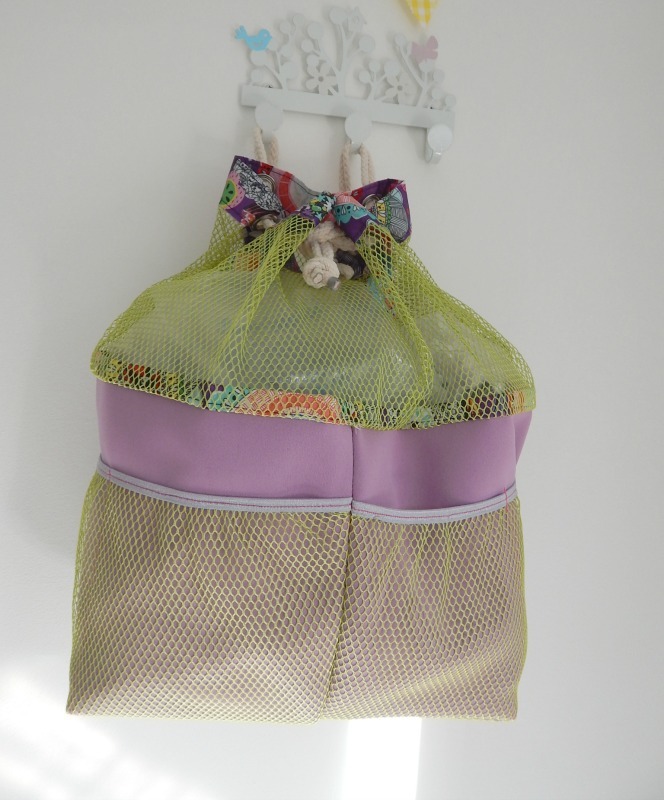 I would NEVER usually put bright apple green with lilac and purple... but it just fits so well on the Swim & Gym bag! This pattern is currently only available as part of the Bag of the Month Club (July - December '16) season, and won't be available as a standalone pattern until February '17. 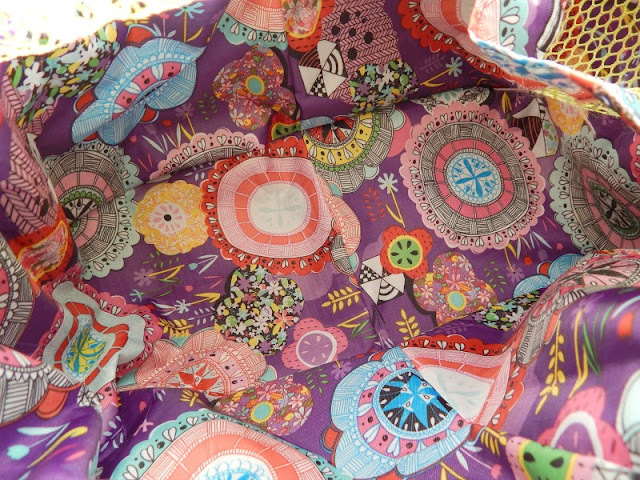 If you want to get your hands on this pattern, then I'd recommend the club subscription, the bags released so far are fab, and there's another one on the way!